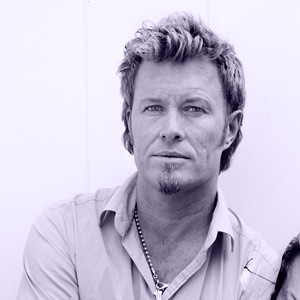 Magne Furuholmen is an artist, musician, writer and performer (most notably from the now disbanded music group a-ha). In projects like “Everybody is a Composer” (Oslo National Museum) or “Cathedral Footsteps” (Neue Nationalgalerie, Berlin) he examines the conditions of a space and the dynamics between performer and audience together with the artist-collective Apparatjik. Through audience participation, new compositions emerge as collective works of art. How does everyone become a composer? How does such a heterogeneous sound find its form? How does rhythm become image? This presentation takes the form of a dialogue with author and pop-expert Jenni Zylka. Magne Furuholmen, musician, artist, composer of operatic music and film scores. Member of the Norwegian band A-ha which disbanded in 2010. As a visual artist Furuholmen works with painting and graphic art. Was one of the founders of “Apparatjik", a group of artists who combine art, music, science and film in their shows to create a total work of art. Most recently: “The Apparatjik Light Space Modulator" together with the German Chamber Orchestra (at the German National Gallery, Berlin 2011).